The pictures fail to show just how beautiful this piece is. 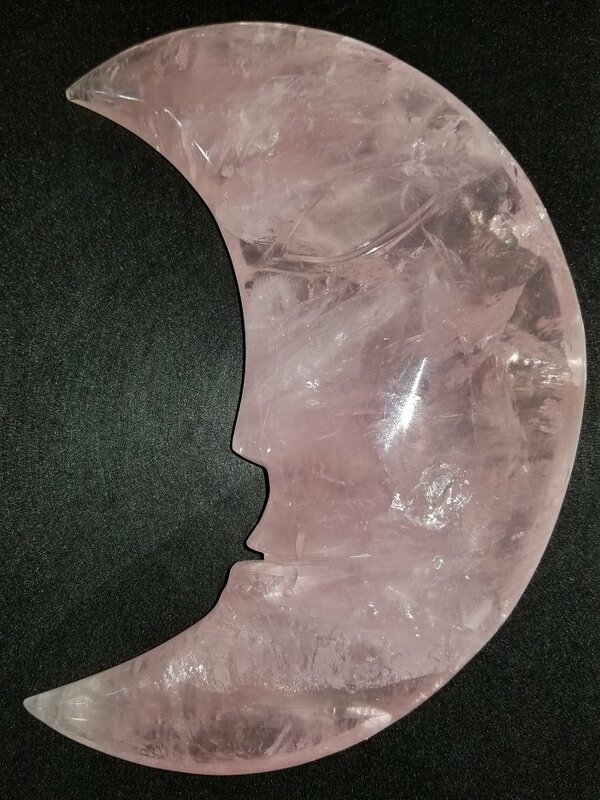 There are rainbows in the piece as well as a rich pink color with some beautiful translucent areas. 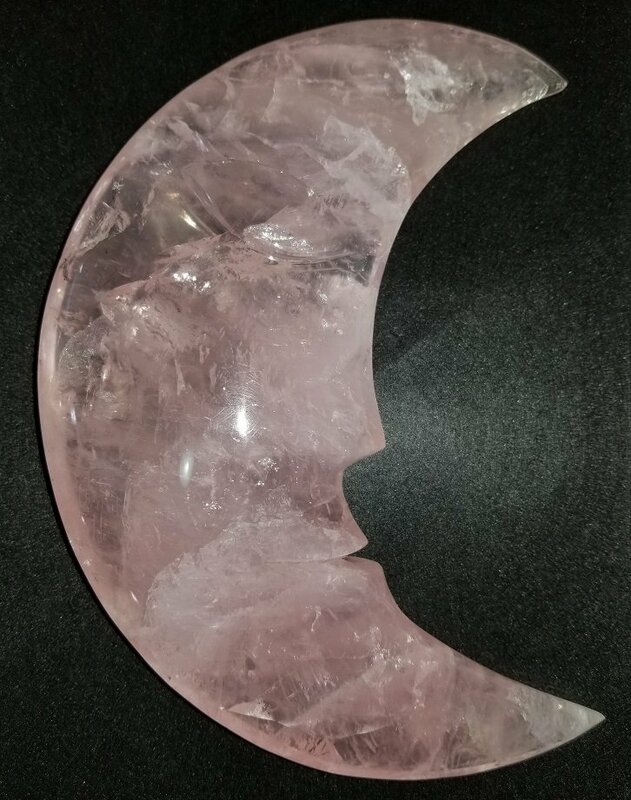 This Moon carving is a show stopper! The piece measures approximately 7 1/4" X 6" X 1 1/2".